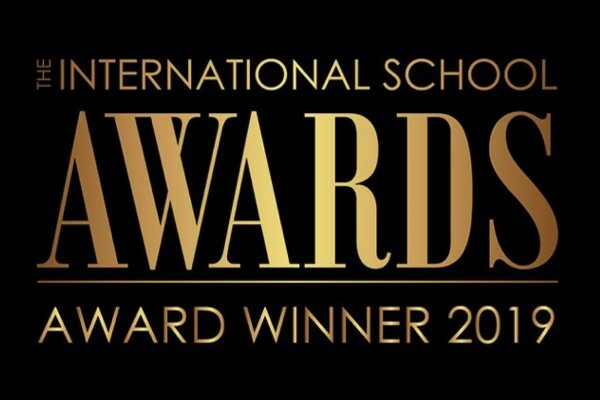 Two of Dulwich College International schools won at 2019 International School Awards held in London on January 23. The International School Awards are hosted by International School Leader Magazine and sponsored by Pearson, a global educational publishing and services company. The awards recognize outstanding schools in a total of 12 categories each year. Dulwich College Beijing won the Creativity in Learning Award for the implementation of a transdisciplinary Design and Technology course that focuses on real world problem solving with its STEAM / SE21 initiative. The "S" in SE21 stands for STEAM, the "E" for entrepreneurship and environmental sustainability, and "21" for the 21st century skills developed in our approaches to learning framework. Also, our founding school Dulwich College sits in Southeast London, in the SE21 postcode. SE21 provide students a space for pitching ideas, learn phase one robotics as well as coding, CAD/CAM, graphic design, film, digital, and virtual reality. It is a place where students are engaged in entrepreneurship and real-world problem solving, pulling in elements of engineering, filmmaking and project-based learning. Dulwich College Seoul won the Outstanding Teaching Initiative Award for its fluid maths grouping model to meet the specific needs of learners. This is a newly developed education model in which mathematics students are grouped by ability for each unit in the curriculum, rather than for an entire academic year. In this model, students take a multiple-choice diagnostic assessment before each unit of study, which provides class structures that are regularly and formally subject to change based on ability in future topics rather than performance in previous ones. As a result, the school removed the long-term stigma of certain students being in the “bottom set” and allows students to receive a balanced exposure to teachers in a fluid system. The school found clear evidence that a fluid grouping structure improved learning across all ability levels compared to traditional year-long fixed settings. In addition, Dulwich College Beijing and Dulwich College Shanghai Pudong were also shortlisted for Community Initiative Awards, which is a commendable feat considering that this year the awards were open to the all international schools for the first time and over 200 nominations were accepted. Our headmasters and outstanding teachers attended this prestigious event to receive the awards. Dr Joe Spence, Master of Dulwich College, and Deputy Head (External) Dr Cameron Pyke were also present for the awards. Pioneering Spirit is one of Dulwich College International’s strategic pillars that guides our vision and purpose. The initiatives which our Colleges were recognised for in the 2019 International School Awards is a solid proof of what believe in and what we stand for.